We are coming upon the end of the year, which for us is not until June 14th, but I wanted to let you know what we have been completing. It's hard to believe that the kindergarteners are almost 1st graders! It seems like just last week they were starting their first day of school! My how they have changed! We have spent the past few weeks reading Pete the Cat books. I have really enjoyed sharing these books with the students, maybe almost as much as they have enjoyed listening to the books. First, we read Pete the Cat: I Love My White Shoes. The students enjoyed reading along and hearing what Pete would step in next. After we finished reading the story, the students went to the tables and completed their own Pete the Cat page. Afterwards, we gathered back together and listened to the song on the Harper Collins website. we sang and danced. 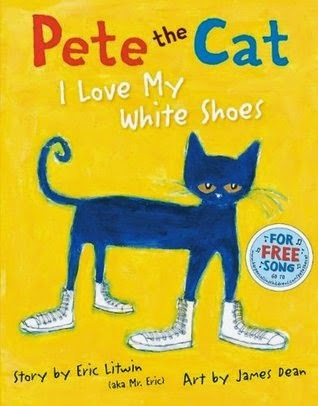 You can click on the link here: Pete the Cat I Love My White Shoes. The following week we read Pete the Cat and His Four Groovy Buttons. We practiced subtracting each time one of his buttons popped off. The students then completed a color by code page. We then listened to another song from Harper Collins to go along with our story. 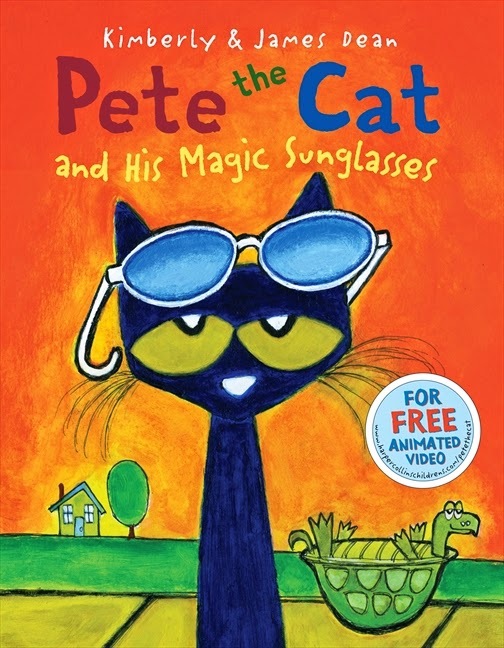 You can check out the song here: Pete the Cat and His Four Groovy Buttons. We finished our study with Pete the Cat and His Magic Sunglasses. We colored a picture from the book and watched a few videos from the Harper Collins website.